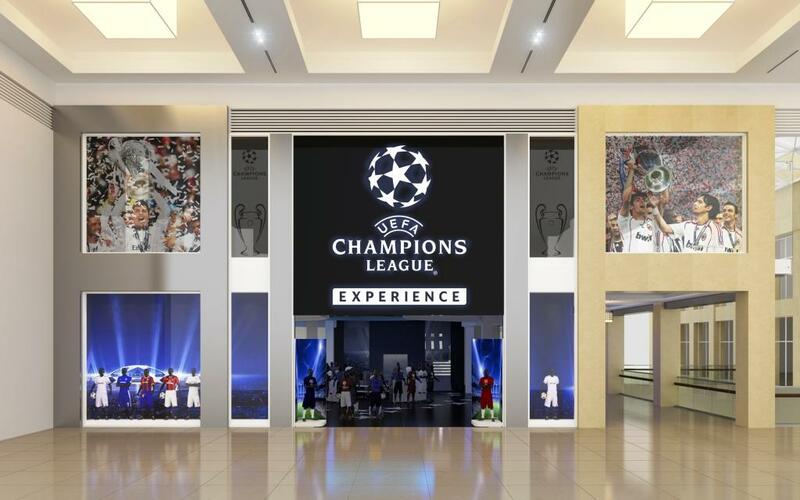 Dubai, UAE – 25 January, 2015 – The UAE will soon host the world’s first UEFA Champions League Experience, an immersive concept store and fast-casual dining destination showcasing the very best of the Competition, Marka PJSC (DFM: MARKA) and UEFA announced today. 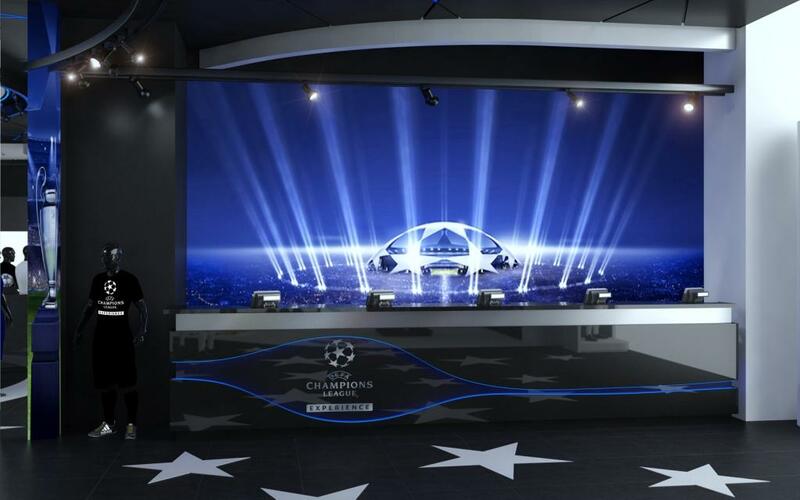 UEFA and Marka, the first public joint stock company in the UAE to focus on the fast-growing retail market, said the first UEFA Champions League Experience will open in Yas Mall on Yas Island, Abu Dhabi. 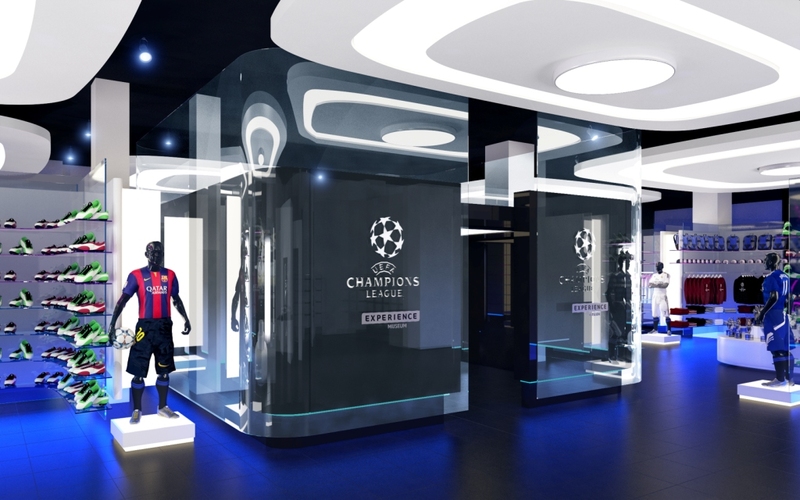 The inaugural store, designed as a dynamic stage at which to experience the thrill and rush of the Champions League is scheduled to open in May 2015 with plans confirmed for expansion across the Middle East from 2015 and beyond. Inspired by the atmosphere, energy and passion of UEFA Champions League football, the 17,000-square-foot destination retail concept will feature a unique combined retail and restaurant offering. 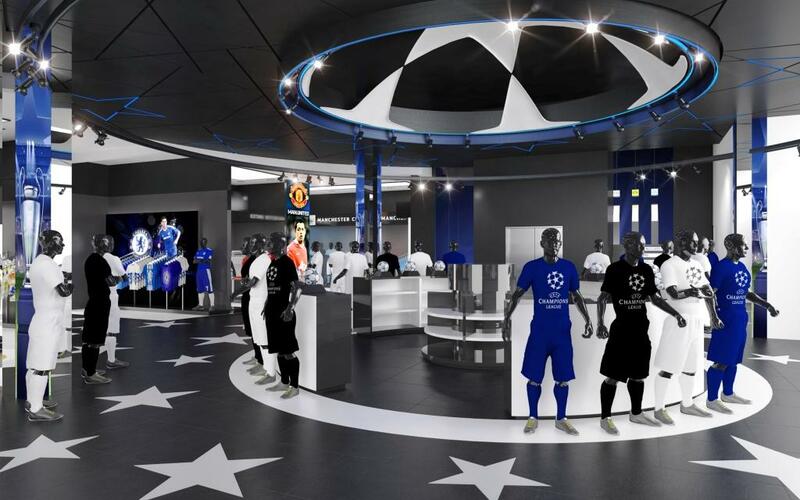 Fans will be able to purchase merchandise from top teams including Real Madrid CF, FC Bayern München, FC Barcelona, and Chelsea FC, from dedicated shop-in-shops. Memorabilia signed by football legends such as Lionel Messi, Steven Gerrard and Cristiano Ronaldo will be on display and available for purchase, complete with a museum where fans can learn more about their favorite teams and players. A wide range of official UEFA Champions League licensed products will also be available. 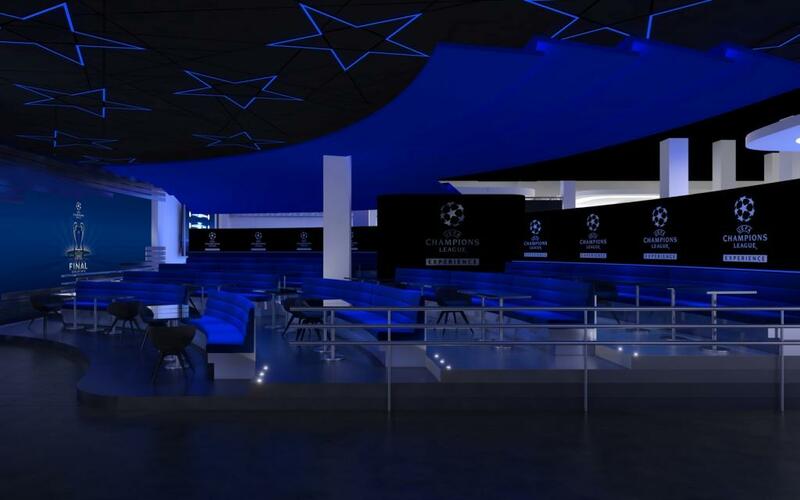 The UEFA Champions League Experience will feature a fast-casual dining restaurant where patrons will enjoy signature dishes served in a stadium-inspired setting designed to replicate the atmosphere of the UEFA Champions League, whilst watching live matches as well as archive footage of standout games and highlights on giant screens.